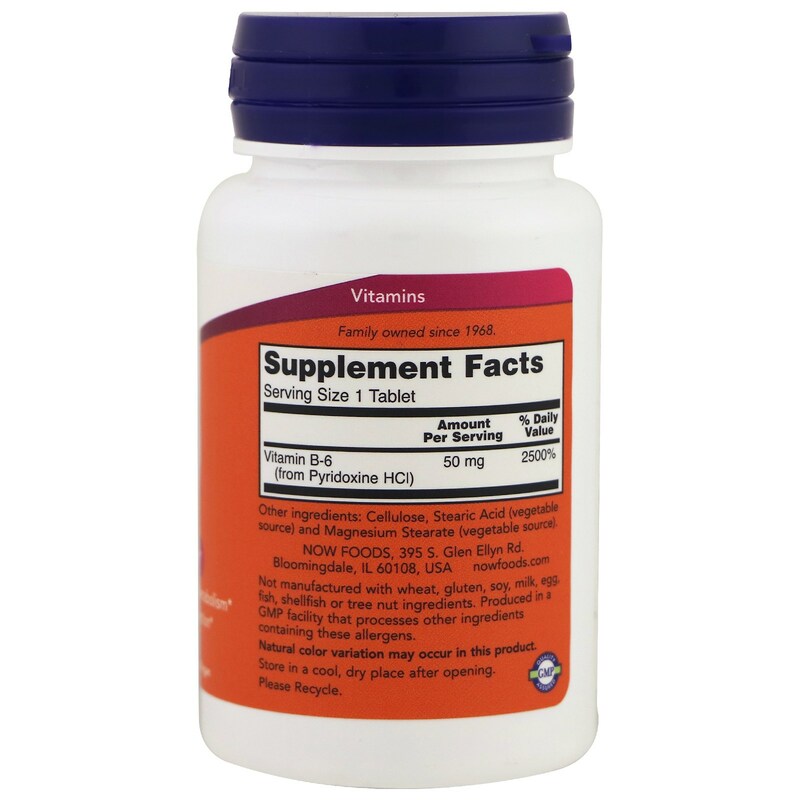 Vitamin B-6 is a cofactor in numerous enzymatic reactions and is required for the metabolism of fats, carbohydrates, and proteins. It facilitates the conversion of amino acids from another as needed, and is necessary for normal synthesis of hemoglobin, as well as for normal function and production of red blood cells. 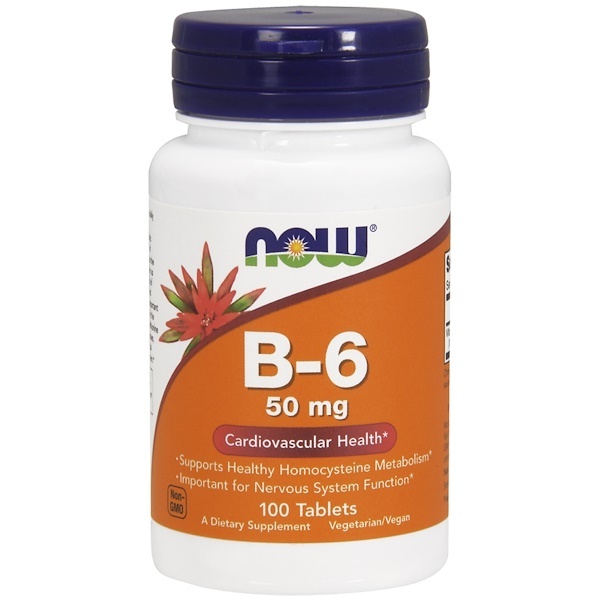 B-6 plays an important role in regulating homocysteine metabolism in the body. Homocysteine, a by-product of the methionine cycle, is known to be destructive to bodily tissues, especially vascular structures. B-6 is also critical for the maintenance of a healthy nervous system. 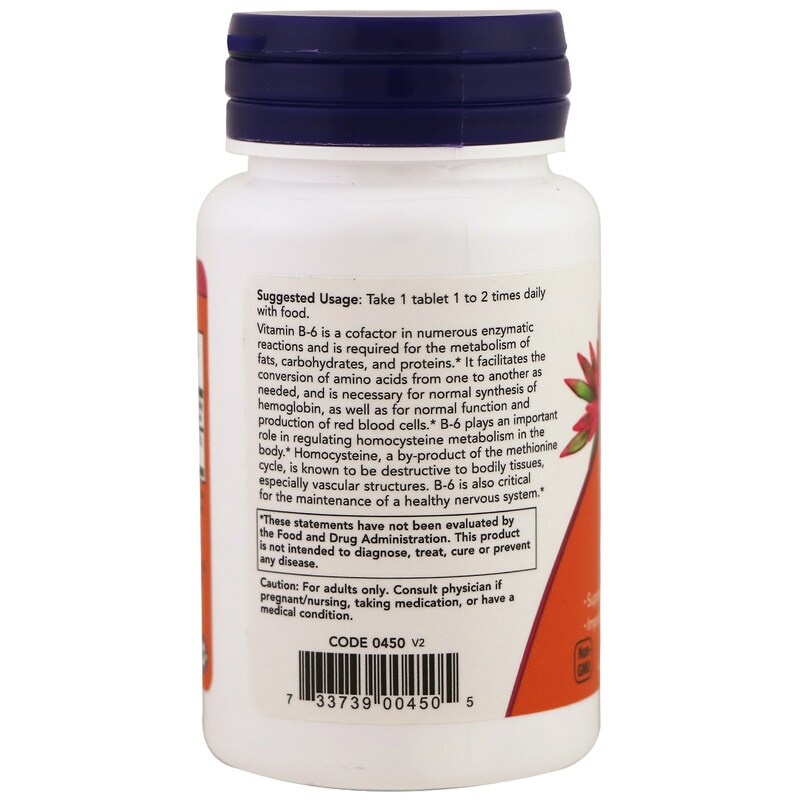 Take 1 tablet 1 to 2 times daily with food.